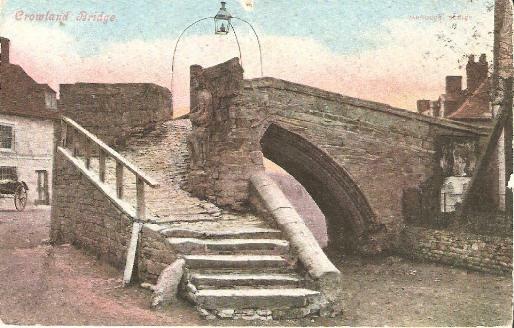 Crowland Bridge - card posted to Daisy Brock in 1906. Church, Rectory and workers, views and notes. Lincoln, a place of considerable note in the ecclesiastical and military annals of England, is singularly situated on the top and side of a high hill, which slopes with a deep descent to the south, where the river Witham runs at its base. The dates of part of the architecture of Lincoln Cathedral, according to a printed Lincoln guide, are as follows. An open fireplace and chimney discovered last summer in the old Deanery House at Lincoln, which is now being taken down, and near to the site of which a new residence is to be erected.